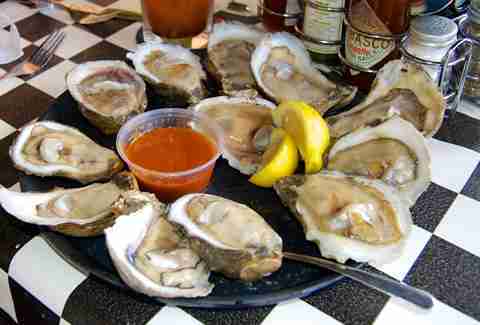 The Pelican State still claims some of the best, biggest, freshest, cheapest oysters on the planet. 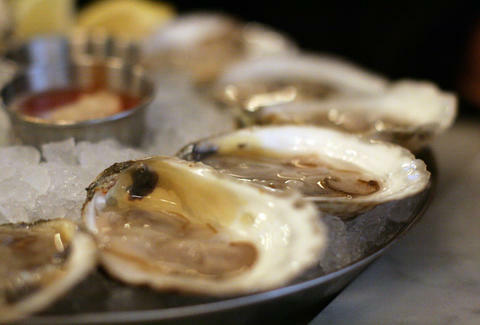 Even though we enjoy them all year long -- that “month that ends in ‘R’” rule doesn’t apply here, because our water doesn’t get cold enough for the oysters to hibernate, nor are they prey to certain natural diseases affecting the bivalves of the Northeast and West Coast (and also because we’re awesome) -- we always think of Fall and Winter as oyster season, which, if you check your calendar, just started, so here are some of the best ways to enjoy a favorite local delicacy. The most recent addition to Donald “Sausage” Link’s restaurant group might be the culmination of the chef and his partners’ years of research travelling the globe studying live-fire cooking, the totally fire-free raw bar at Peche offers some of the best bivalves in town, chosen from specific Louisiana oyster areas with an emphasis on freshness and size, which actually means they tend to be smaller, thus giving them a more concentrated salinity. 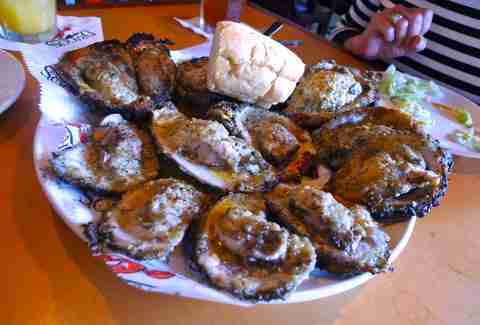 They may not have invented throwing oysters on a grill over hot coals, but Drago’s certainly perfected it. 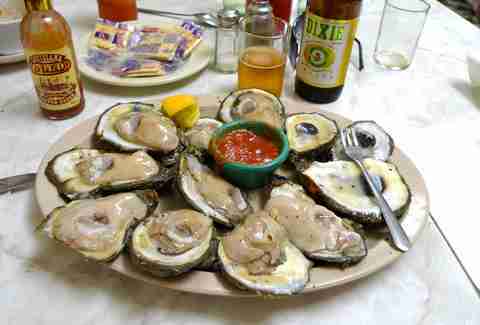 Their charbroiled oysters were a NOLA culinary game changer -- everyone in town seems to grill theirs these days, but none so good as the original, skinny dipping in hot pools of melted butter (the best for sopping with fresh French bread) and topped w/ a seasoned cheese blend, they’re a dozen teeny, survivable heart attacks on a plate, and totally worth it. Pro tip: If you can, hit the original location in Metairie instead of the more Vegas-y outpost downtown (especially for lunch). Acme is great for a number of reasons: their shuckers are the most entertaining; they hold the annual oyster-eating competition; not to mention that they’ll keep de-shelling for you at the bar until you say “when”, tallying your total consumption by stacking the shells in front of you like some kind of primitive currency, then demanding some clams from you. 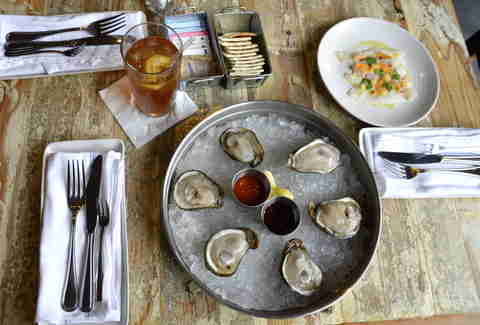 But their real strong suit is the cocktails, either a spicy Bloody topped with a raw pearl-smith (the briny kick makes it similar to a “Bloody Caesar”), or the oyster shooter, a shot of cold vodka w/ a raw bivalve and a dollop of cocktail sauce. There are a few things you should know about Casamento’s: They’ve been rocking the raw bar for nearly a century (1919, to be specific); it’s closed during the summer months; it’s small, so be prepared for a wait; and they have literally the coldest oysters in town, courtesy of a special stainless steel “oyster box” that keeps the bivalves cool sans ice, so they’re never watered down. But you should also know that if you slip him a tip as you wait in line, shucker-extraordinaire Mike will joyfully shuck an oyster directly into your mouth from across the room. Now that’s talent! It’s hard to go wrong with a dish so rich, it was literally named after the wealthiest man in America at the time, John D. Rockefeller. 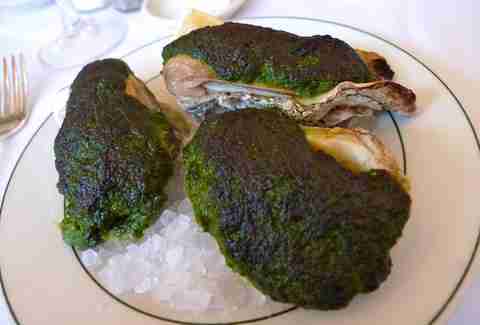 Antoine’s Restaurant created this classic in 1899, with a “secret” recipe that combines oysters on the half-shell, topped with an intense sauce of pureed vegetables and then baked. Antoine’s is still totally solid, but Galatoire’s also does a damn fine job with their version. The humble oyster loaf is a thing of such beauty and pride in New Orleans, “where to find the best” is a question among locals that quickly turns into a deeply-studied, passionate, rabbinical debate. Most of the places listed above will provide an excellent erstah sandwich (with special attention paid to Casamento’s, which serves theirs on buttery Texas toast), as will Parran’s, Crabby Jack’s, Domilise's, Mandina’s, Parkway Bakery, R&O, and the list goes on from there. 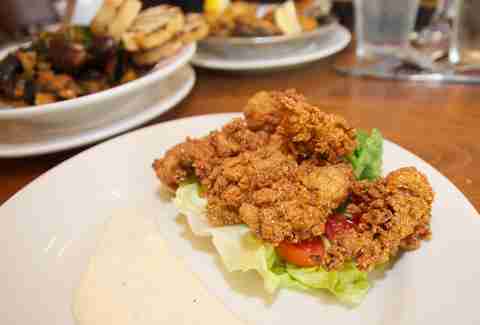 But we’re going to pull the trigger and recommend Ye Olde College Inn as the favorite, a perfect combination of fried oysters and pillowy, flaky French bread, “dressed” w/ lettuce, toms, pickles, “mynez”, and hot sauce. 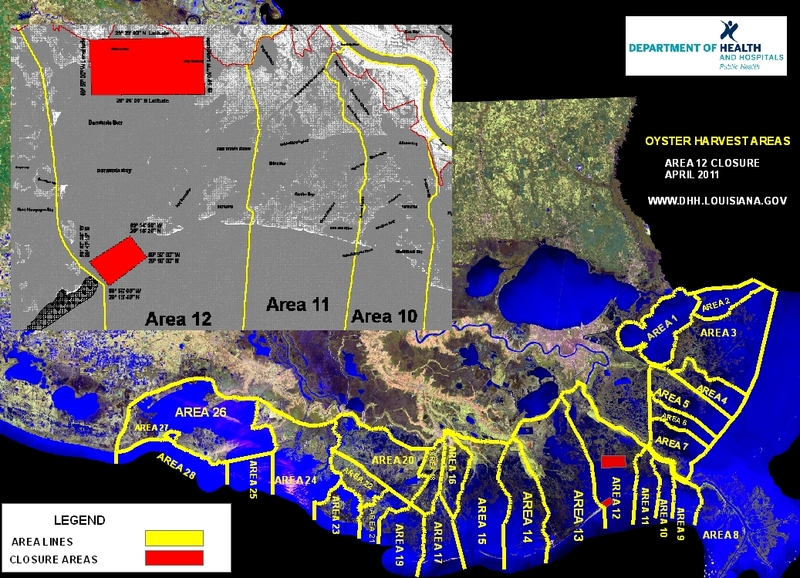 What can possibly be better than lovingly-fried Louisiana oysters? Lovingly-fried Louisiana oysters that have first been cold-smoked, to impart a delicate, luscious aroma of wood-fired BBQ. That's what.